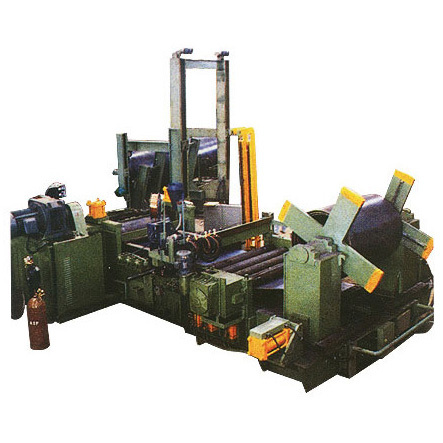 Spiral Pipe Mill Making Machine is designated to produce spirally but-welded steel pipe from steel sheets in coil or plate form, in step less range of diameters within the limits listed herein. Welding heads and other accessories are fitted on the mill to carry out both internal and external welds on the spiral seam and also on the skelp joints for continuity of operation. 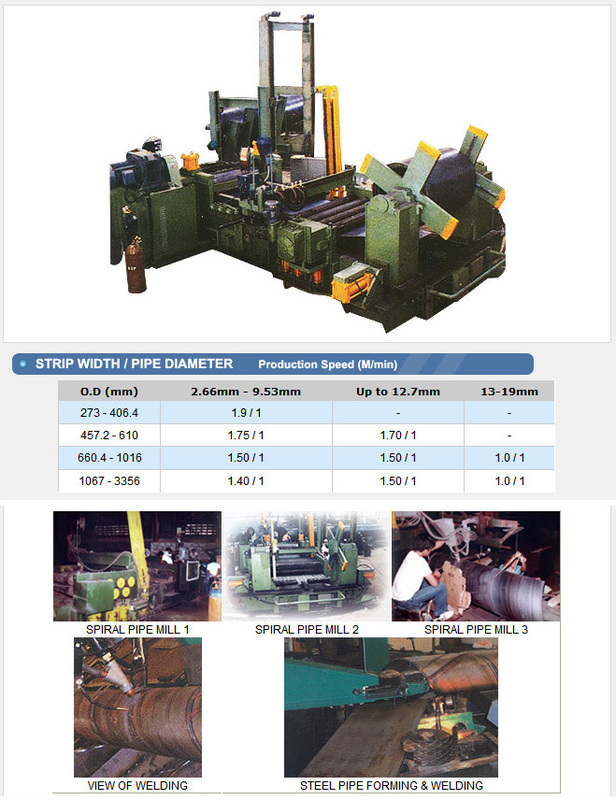 Automatic cut-off finished pipe, using either Oxygen-Acetylene or plasma cutting outfit, is provided. Application:Industry, construction, pipelines for natural gas, oil, water, etc. Coil weight : Max. 25 Tons.